Many hotel chains and airlines offer status matches from their competitors. They are willing to offer you the same membership level from another chain, so in your next business or leisure trip you chose them. It really makes sense as they want you to stay and spend with them. a screenshot of the on-line account showing you as gold. 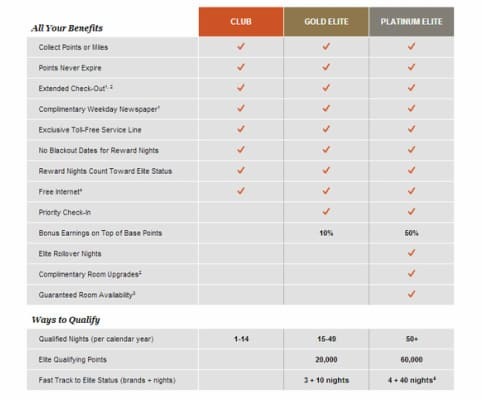 The Platinum benefits might not be as good as the Hilton Gold ( as Hilton offers free breakfast and internet for two) but they work well especially as you are more likely to get upgraded to a better room. Below are all the benefits you will receive as Platinum member.